Put together as a Concept Car for display at the Birmingham International Motor Show at the NEC. 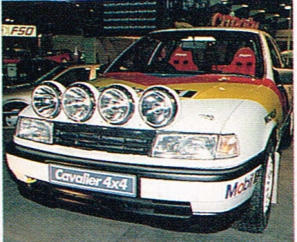 The 4x4 Cavalier was introduced with the New Mk3 Cavalier in 1988. Motor Sport Development based in Milton Keynes who ran GM Euro Sport built this car with aspirations to having it homologated into Group A in the World Rally Championship. The car used the normally aspirated 2.0 250bhp BTCC Cavalier engine and another vehicle was also fitted with a Saab Turbo unit. Initial testing and development was carried out in 1989 by Dave Metcalfe with January 1990 set as the Homologation date but the project was canned and replaced by the ill-fated Vauxhall Calibra Rally Car project. 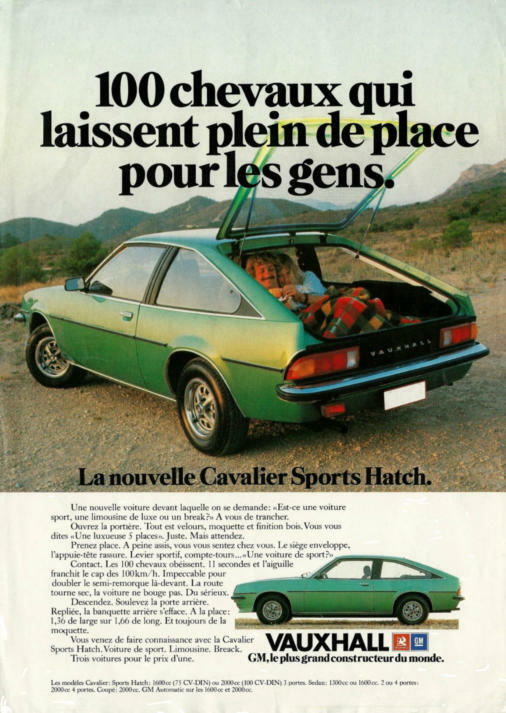 One wonders how the Cavalier would have fair if the project had been given the green light. The right hand picture was kindly provided by David Cousins and shows the Cavalier on display at the British Rallycross Championship at Nutts Corner Raceway just North of Belfast in 1989. 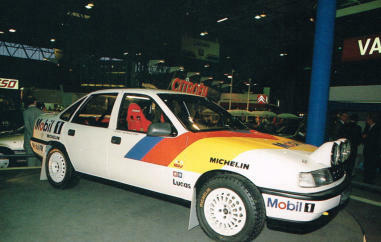 The car was displayed along with the Thunder Saloon Carlton and the Sphere Drake Astra 4S (Group S Rally Car which was cancelled). It is also interesting to note that film of the car being tested by Dave Metcalfe does exist from 1991. So as late as early 1992 the car was still being considered.